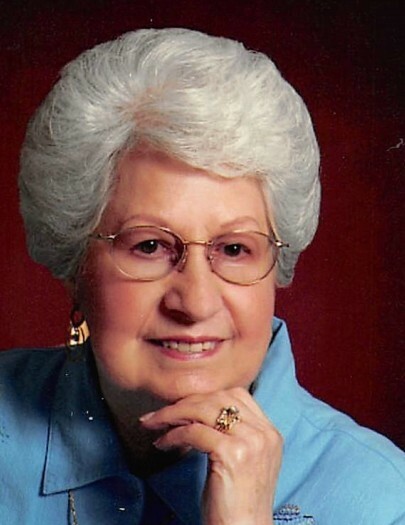 Marie Lemoine Schittone, passed away peacefully in her sleep on Thursday night, January 31, 2019 at The Carpenter House. She was 93 and a native of West Baton Rouge Parish. She retired from Godchaux’s-Maison Blanche after 30 years of service. Visiting hours will take place at Resthaven Funeral Home on February 5, 2019 from 5:00pm – 9:00pm.The Kaycee Ladies Auxiliary will say a Rosary at 7:00pm. Visitation will continue on Wednesday, February 6, 2019 from 9:00am until Mass of Christian Burial at 10:00am at St. Thomas More Catholic Church, 11441 Goodwood Blvd. Baton Rouge. Burial will follow at Resthaven Gardens of Memory. She is survived by her two daughters, Carol Roberts and Janet Schittone, one sister Ethel Jarreau and numerous nieces, nephews and other family members. Preceded in death by her husband of 56 years, Frank Schittone, grandson Chad Roberts and son-in-law Billy Roberts, her parents Gasper Lemoine Sr and Noalie Bizette Lemoine and three brothers Tony Lemoine, Lawrence Lemoine, Gasper Lemoine Jr and two sisters Della Williams and Viola LeBlanc. She was a long time member of St. Louis King of France Church and the Ladies Altar Society. She was a current member of St. Thomas More Church and Fr. Maynard E. Hurst Jr, Kaycee Auxiliary. We would like to thank the staff at OLOL and St. Joseph Hospice Carpenter House for the great care given to our mom. Memorial donations can be made to St. Joseph Hospice at The Carpenter House, 10615 Jefferson Highway, Baton Rouge, Louisiana 70809.